This book addresses the growing academic concerns of the market-religion convergences in Asia. Bringing together a group of leading scholars from Asia, Europe, Australia and North America, it discusses multiple issues regarding religious commodifications and their consequences across Asia’s diverse religious traditions. Covering key issues in the anthropology and sociology of contemporary Asian religion, it draws theoretical implications for the study of religions in the light of the shift of religious institutions from traditional religious beliefs to material prosperity. The fact that religions compete with each other in a ‘market of faiths’ is also at the core of the analysis. The contributions show how ordinary people and religious institutions in Asia adjusted to, and negotiated with, the penetrative forces of a global market economy into the region’s changing religio-cultural landscapes. 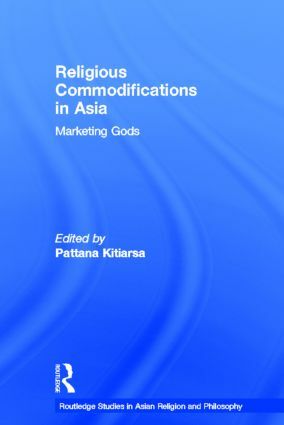 An excellent contribution to the growing demands of ethnographically and theoretically updated interpretations of Asian religions, Religious Commodifications in Asia will be of interest to scholars of Asian religion and new religious movements.